You probably won’t find a section in the card aisle for “Happy Cloistered Day” cards. Much of the life in a monastery is meant to be quiet and not seeking attention. However, I could not let this day, November 21, go by without recognizing the men and women who choose to spend most of their life in one place and most of their day in prayer. It is our turn to thank and pray for those who pray for us each day. I have been blessed to spend time with both the Visitation Nuns in Tyringham and the Dominican Nuns in West Springfield. They are wonderful communities. And this Saturday, on Nov. 21, “Real to Reel” will air from the Trappist Monastery in nearby Spencer. All three places offer solace, prayer and some really cool stuff. The Trappists have recently begun brewing a highly-praised Trappist Ale. In fact, Springfield Bishop Mitchell T. Rozanski recently toured the facility. And a special report about the monastery and its business will be featured on Real to Reel this Saturday. The Visitation Nuns offer a variety offer some beautiful vestments through Chantal Artisans. And they offer opportunities for private retreats. The Dominican Nuns have been a presence in the Diocese of Springfield since 1925. They offer beautiful “spiritual bouquets” and Mass cards as part of their “work.” They also host community events through the Third Order Dominicans and special novenas. When I visited the Visitation Nuns I felt so at home and welcome. I have gone during the summer when they have a beautiful garden growing and I have gone in the winter when they put up an ice skating rink. My dear Dominican Nuns have been a part of my life since I was a baby. My mother visited their monastery on Ingersoll Grove in Springfield and helped collect “egg and butter ” money for them. My children, and now my dear granddaughter, Cordelia, have visited the monastery often. They are a source of joy. They also are a source of comfort. I have turned to them in times of need. Either I call or e-mail the monasteries with my prayer request. The Visitation Nuns and the Dominican Nuns are my spiritual 911. When I need help I know that the “good sisters” in the Berkshires and on Riverdale Road will be there. There are so many times in life when one feels helpless. There are times when one faces great sorrow or a great challenge. That is usually when I pray and when I seek the comfort and support of our local monasteries. I know that they are scheduled to spend hours in prayer each day. I have seen bulletin boards at each monastery where they post prayer requests. I have felt the healing comfort of these women and their deep faith. So Happy “Pro Orantibus” Day! And thank you for praying for us!!! On a rainy, autumn afternoon, several people were lined up on a basement stairwell at St. Mary’s Rectory in Westfield. 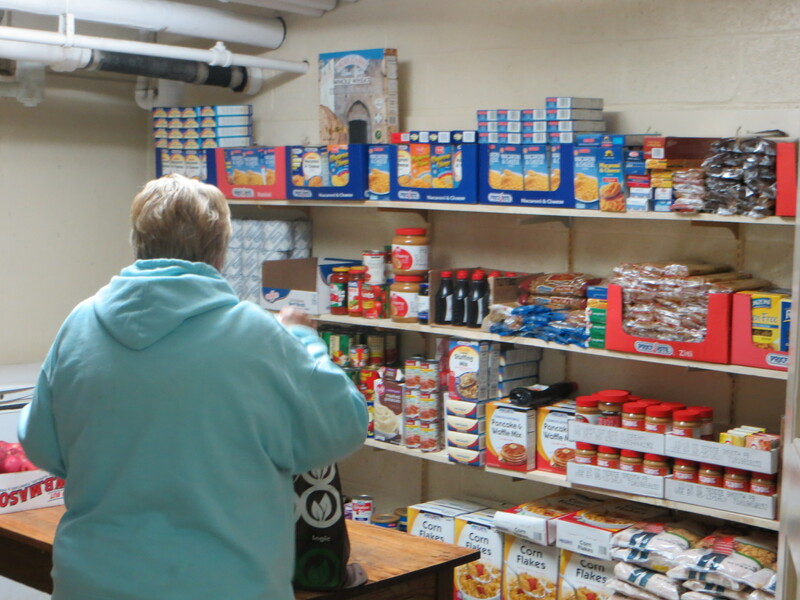 They had appointments for the Food Pantry which is run by the St. Vincent de Paul Society. They were early and eager. They also were nice to me and my videographer who were there to report on how the Annual Catholic Appeal helps the St. Vincent de Paul Society. I admit I felt sorry for them and grateful that I could just go to the grocery store and select what our family needed for the cupboard. However, I also was so impressed with how the organizers of the pantry treated each person there with great respect and dignity. They did not hand them a bag of groceries and send them on their way. They offered them choices from the food available. They helped carry bags of groceries for people. They chatted about recipes and life. This group, which is run totally by volunteers, really is making a difference in the lives of so many people. Volunteers from the local middle and high school talked with me about their work. One explained that she wants to earn a Girl Scout medal by increasing donations and targeting much-needed items like toilet paper and coffee. One volunteer was excited because he had gotten a lot of meat at the Food Bank in Hadley for a very good price. 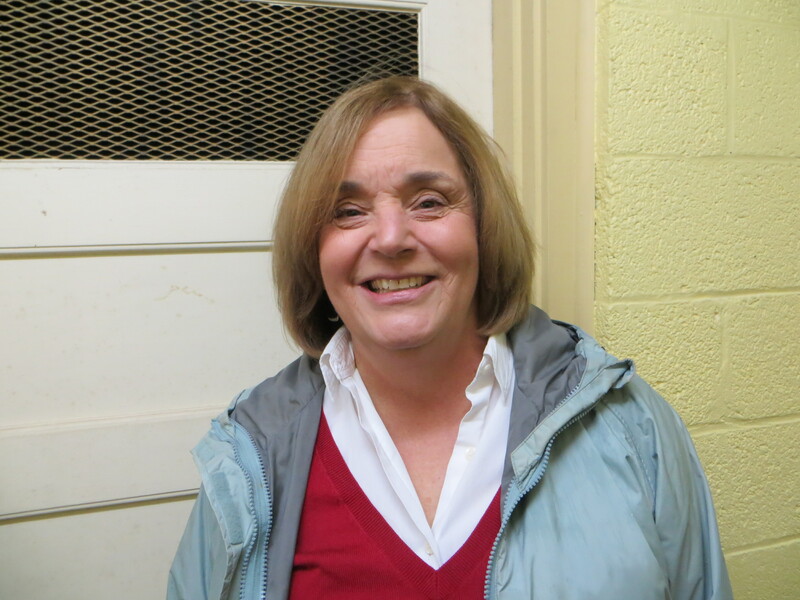 Joanne Miller, the president of the St. Vincent de Paul Society explained that they are trying to perform the Corporal Works of Mercy. 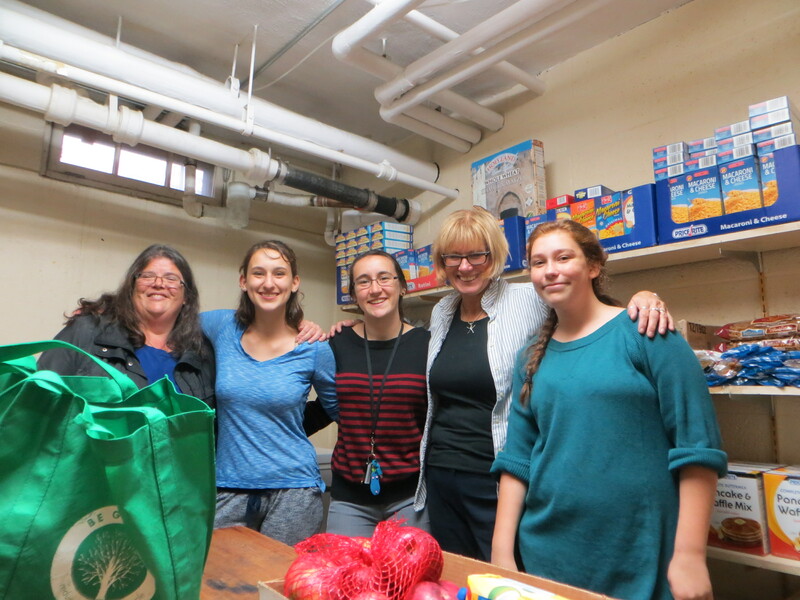 She noted: “The members of the St. Vince de Paul Society step in the crisis time and time again to help hundreds of families in Westfield. The financial expenses totaled $25,561, which does not include the thousands of bas of food given out at the Food Pantry. Each penny, each can, jar and box that was taken in was given back out with love, personal contact and a caring heart. The St. Vincent de Paul Society offers rental assistance, heating aid, outreach to Veterans at the Soldiers’ Home and local nursing homes and so much more. They are carrying on a tradition that was started in France in 1831 when Blessed Frederic Ozanam was challenged to do good work. The St. Vincent de Paul Society was founded and spread and began its legacy of caring in 1845 in St. Louis, Missouri. However, on this cold and chilly day, those receiving bags of groceries probably did not know about this illustrious past. They were just grateful to receive help. And those sharing food with a smile were happy to give. It really was a day I loved my work and my Catholic faith a lot. For more information about the St. Vincent de Paul Society call the helpline at 568-5619.